There are also certain scents that make me think of summer. Citrus and anything beachy would be a couple of them. So when Softsoap offered to send us a couple of their LIMITED EDITION Summer Body Wash Scents, of course I agreed. I mean, summer isn't over yet, right? 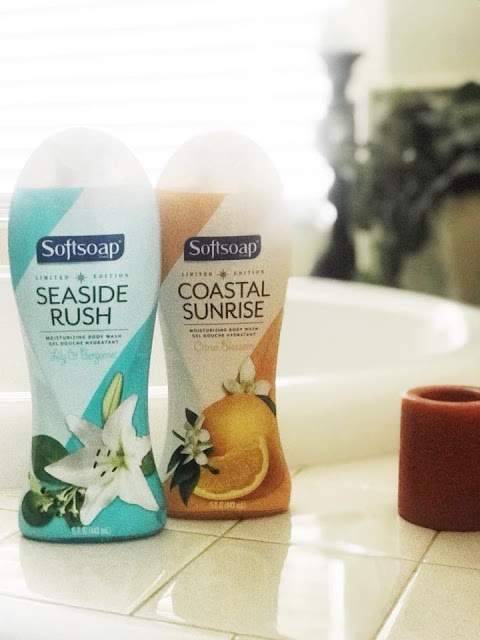 We received Coastal Sunrise (Citrus Blossom) and SeaSide Rush (Lily & Bergamot). 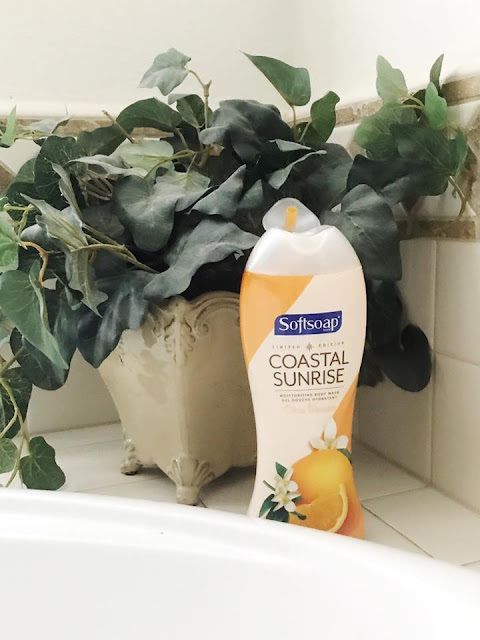 The Coastal Sunrise body wash has the citrus scent, but I'd honestly say is heavier in the blossom scent. It's more floral scented than anything, but is fresh and clean...and will have you smelling like a citrus bouquet of flowers all day long. 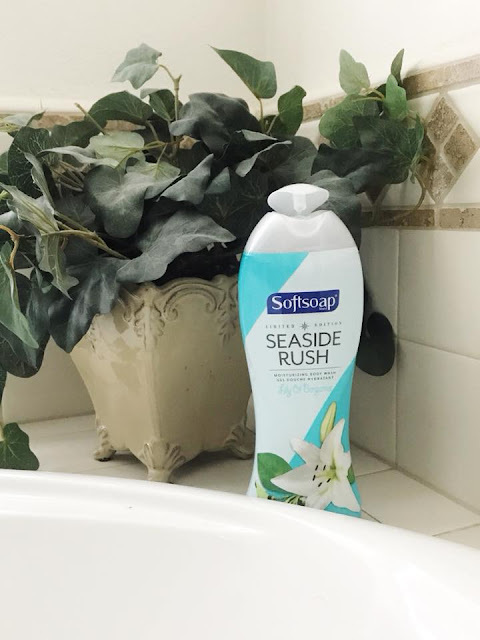 The SeaSide Rush body wash has a refreshing scent. It says it's Lily & Bergamot, but the best way for me to describe this scent is FRESH AND CLEAN. I would love to smell like this all day long! Both of these LIMITED EDITION SOFTSOAP scents can be purchased at WALMART! CLICK HERE to check out all the products SoftSoap offers or run to your nearest one and stock up before they are gone...I mean, they are LIMITED EDITION (till Sept), kinda like summer time!